Unceasingly recite this chaplet that I have taught you. Whoever will recite it will receive great mercy at the hour of death. Priests will recommend it to sinners as their last hope of salvation. Even the most hardened sinner, if he recites this chaplet even once, will receive grace from My infinite mercy (687). Oh, what great graces I will grant to souls who will recite this chaplet (848). 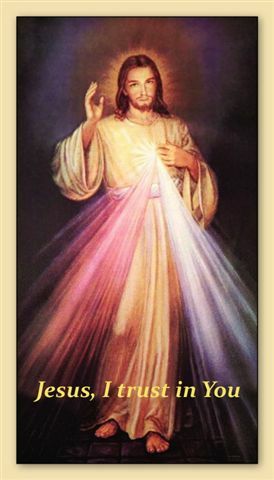 Through the chaplet you will obtain anything, if what you ask for is compatible with My will (1731). I want the whole world to know My infinite mercy. I want to give unimaginable graces to those who trust in My mercy (687).Speak, Lord . . . Your Servant Listens +++Prayer is, in the strictest sense, a humble religious petition of man to God to seek divine benevolence and benefits he needs for life, both temporal and eternal. It is a conversation with God, either by accepted prayer forms, or from the heart. Here, then, in conversational verse, is a hypothetical talk the Lord might have with us, His children.